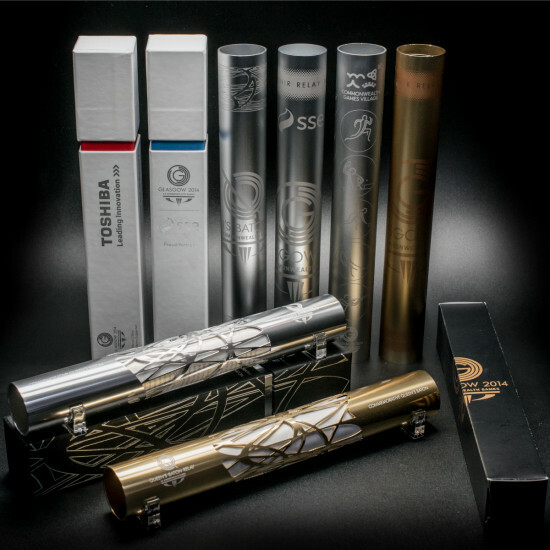 Batons have been part of our repertoire since we designed and produced one for each and every helper at the London 2012 Olympics. Machined from solid aluminium and to strict IAAF standard, each of our batons is of Olympic quality. We were asked by the organising team for London 2012 to suggest a suitable recognition gift for the 80,000 Gamesmaker volunteer programme; the gift needed to be of high perceived value, relevant to the Olympic Games and a genuine keepsake. We proposed an IAAF regulation size and weight relay baton. The baton was an instant hit with the Gamesmakers and for LOCOG it captured the Olympic spirit of sporting excellence, trust and teamwork. Since 2012 we have gone on to produce this unique baton for numerous corporate and non commercial bodies looking to present a unique quality recognition award to staff and clients. 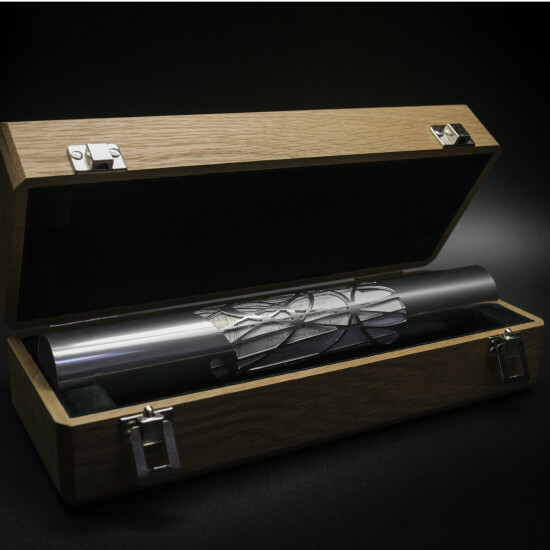 The baton is manufactured in the UK from recycled aluminium so it has strong sustainability credentials. 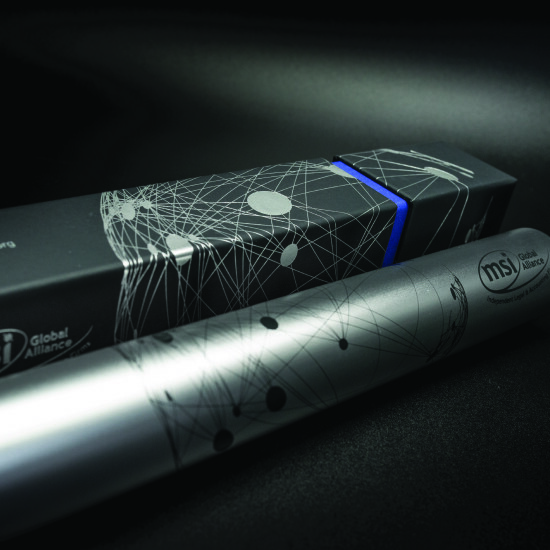 The baton can be personalised to a high standard using a combination of 360 degree rotary printing and laser engraving. The bright anodised finish is standard but we can offer other metallics including gold and bronze effect, paint or all-over print; the options are endless. We can also design and insert a certificate rolled up inside the baton to carry an additional personal signed message from the CEO! This is a truly elegant vehicle with which to deliver a big thank you message. The baton looks great simply displayed stood on end or horizontal on specially designed acrylic support chocks. For that additional wow factor we have created a range of presentation packaging that will add theatre to any ceremony. Choose from a smart printed black cloth bag, stylish block foiled shoulder box, acrylic display case or a classic solid oak felt lined casket… Whatever your volume or budget, we have a baton for you.